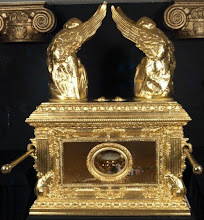 Unam Sanctam Catholicam: Advice About Confession Problem? Maybe this will be helpful to you and your friend: canon 980 states that "if the confessor has no doubt about the disposition of the penitent, and if the penitent seeks absolution, absolution shall not be denied or deferred." 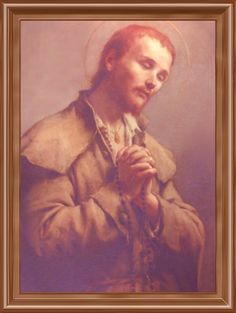 Even the great Saints of the past, St. Philip Neri for instance, only deferred absolution when there was some doubt about the disposition of the penitent: e.g., a firm resolve to avoid occasions of sin. My impression--I've heard hundreds of confessions myself--is that nowadays the presumption of the penitent's worthy disposition is much more generous than in the past. Canon 843.1 of the Code of Canon Law states: "Can. 843 §1. 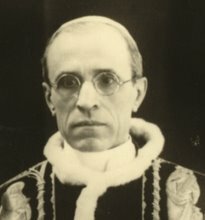 Sacred ministers cannot deny the sacraments to those who seek them at appropriate times, are properly disposed, and are not prohibited by law from receiving them." As presented either the Priest thought he was not properly disposed because of his sin of presumption or he was being cute. The proper course of action is to have your friend write a letter to the Pastor of the Church (if this is the associate pastor) and ask what he (the penitent) should do in these circumstances. This gives the opportunity for the Pastor to correct the associate. If it is the Pastor himself I would go back to your own pastor and present the circumstance, and should it be necessary write a letter to the bishop. The priest might be a great priest, but I believe he would receive a benefit from the guidance of a fellow priest or a bishop on when to withhold absolution. 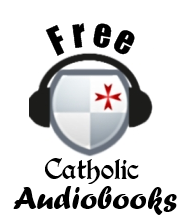 Listen to this sermon on recidivism by Fr. Ripperger. He speaks about the cases when a priest needs to withhold absolution at about 5:30 minutes in. My guess? The key is the priest giggled. 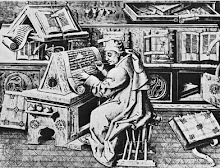 If the priest had a proper disposition as a confessor, he (1) would not giggle at mortal sin (that's "presuming" he considered what was confessed as being mortally sinful or a sin at all! 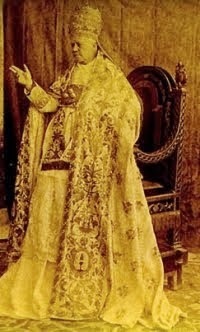 ); (2) he was probably annoyed that the penitent had confessed sins that he does not consider "mortal" because of his lax disposition toward a particular species of sin (and there could be many reasons for this: poor theological training and/or his own lax attitude toward virtue -- a true Modernist). He made no attempt at counsel regarding the underlying sin that is habitual: just a snarky remark about presumption. This priest is trouble. He withheld absolution because of his antagonism toward the penitent. A number of years ago I was not taking my faith as seriously as I ought to have. While I wanted to be a practicing Catholic, there were certain habitual vices (mortal sins) that I found difficult to part from. At that time it was Advent, and during the First Week of Advent I had gone to Confession and confessed my mortal sins in kind and in number. But only a few days later it was the Feast of the Immaculate Conception and I realized I had already committed a number of these sins again, a few of them multiple times. So I made a point of seeking out a Catholic Church near my work place that held Confession before Mass. When I arrived there was a line of about a half dozen people or so, and when it was my turn to enter the Confessional I told the priest (whom I had never met before or since) how long it had been since my last Confession (only a few days) and I confessed my sins in both kind and number. The priest asked me how I could have committed these sins again so quickly, and not just once either, if I had truly been contrite only a few days earlier. I had no answer. As a result the priest chose to retain my sins and deny me absolution, explaining that the reason he was doing so was because he did not believe I was truly repentant of them. 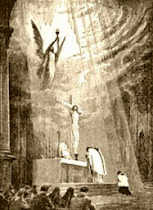 He advised me to pray for true contrition and to return when I felt that I was truly ready to turn my back on ALL sin. After that I did not go to Confession or receive the Sacraments for nearly two years. That sounds terrible, and it is, but I ultimately believe the priest was right in his judgement. Had he granted me absolution I would have just kept committing the sins because I was not ready to let go of them. I was like the rich man who went away sad in the Gospels because he was not ready to do what Jesus required of him. After I was denied absolution I said to Our Lord, "Jesus, if this is what is required of me to be a good Christian, then I cannot be a good Christian." It was a horrible thing to say but it was also an honest thing to say at that time. I was not spiritually mature enough to follow Christ back then. Thankfully the Good Shepherd never stops seeking out his lost sheep, but it was not an easy path back to the fold, it was a long and painful journey. Yet I still believe it was necessary to get to the point where I finally could renounce the sins which I had allowed to separate me from Our Lord for so long. I still to this day make a point of praying for that priest who denied me absolution, though I have never seen him again and likely never will this side of paradise. I am sharing this story in the hope that it helps your friend in his own spiritual journey, though I will not presume to know what, if anything, he should take away from my experience. His situation sounds as if it is different from mine, and ultimately these things can only really be properly addressed through prayer and a frank discussion with one's pastor. But since it seems that being denied absolution is a fairly uncommon experience in this day and age, I thought I would share my experience for what it's worth. A priest giggling in the confessional? find another who knows how to behave. A proposition condemned by Pope Innocent XI that may be relevant here. 60. 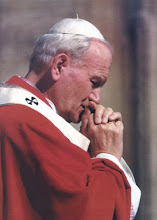 The penitent who has the habit of sinning against the law of God, of nature, or of the Church, even if there appears no hope of amendment, is not to be denied absolution or to be put off, provided he professes orally that he is sorry and proposes amendment. As a priest, I would certainly have given absolution, in the case as described above. I would have advised the penitent to discuss this with a spiritual director outside of the Sacrament. A spiritual director might advise someone to postpone Confession to deal with say presumption (or its opposite, scruples), but I can't imagine when a confessor would say that to someone suitably prepared. Right. Picking on someone who actually believes the Old Fatih, like a schoolyard bully. Donnie, yours is a powerful and courageous testimony, thank you. It's also good encouragement for an honest examination of conscience and purpose of amendment. 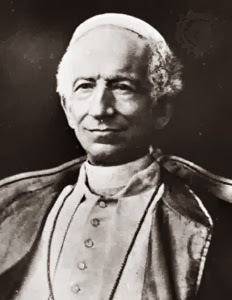 Padre Pio often refused absolution and so did St John Vianney on occasion when they deemed the penitent to lack this true purpose of amendment. It's harsh but as said by Donnie it can lead to true blessings. Whilst the manner of the priest 'giggling' seems inappropriate is it possible it was a manifestation of frustration - chuckling or scoffing at what someone says when there is a sense of irony or hypocrisy? Or, perhaps it was just basic insensitivity. But insincere priests are more likely to grant absolution willy nilly (or even I've heard some priest supposedly said to someone I know 'that's ok that you commit impurity because it's just too hard for you in your case'). Wow. I'd prefer legitimate denial of absolution than the priest confirming me in sin! (Please pray for the priest and the penitent in this case). Whether the priest in the original post was right or wrong it is something that will ultimately benefit the person in question here, if they are truly contrite. Awesome talk but not for the faint-hearted! I'm just now seeing this... I once had a priest deny me absolution. I confessed a habitual sin that I was struggling with and that it was habitual. He responded "and what do other priests do just absolve you?" Rather confusing, there was a lot of back and forth he wanted me to say I could reasonably go a very long time, like a year or more, without falling into it before he would absolve me. I kept trying to explain that I was not planning to commit it again, wished that I hadn't fallen into it, would take concrete steps to alter my pattern of life, but couldn't guarantee; since it was deeply habitual; that I wouldn't fall into it for such an extended time period. I am still baffled, now years later, when I think of that exchange. All I can figure is that he had a distorted understanding of sufficent resolve to amend ones life. Your friends experience is equally baffling and more disturbing because of the giggling, frankly it reminds me of (other) bad confession experiences with liberal priests who are of lax conscience. Presumption of God's mercy is of course a sin listed as such in most guides and should have been confessed. I'm afraid I don't have any suggestions, I do sympathize. I truly think this is Jesus saving your soul...it is like being refused but told also "get it together." If you were to go over and over with the same sin, and comfortable at this point confessing-- you would be on road to hell and the priest taking you with him! I went to confession and after confessing, the priest said he absolved me but he asked that I go into the sanctuary to pray the act of contrition. Was my confession still valid?